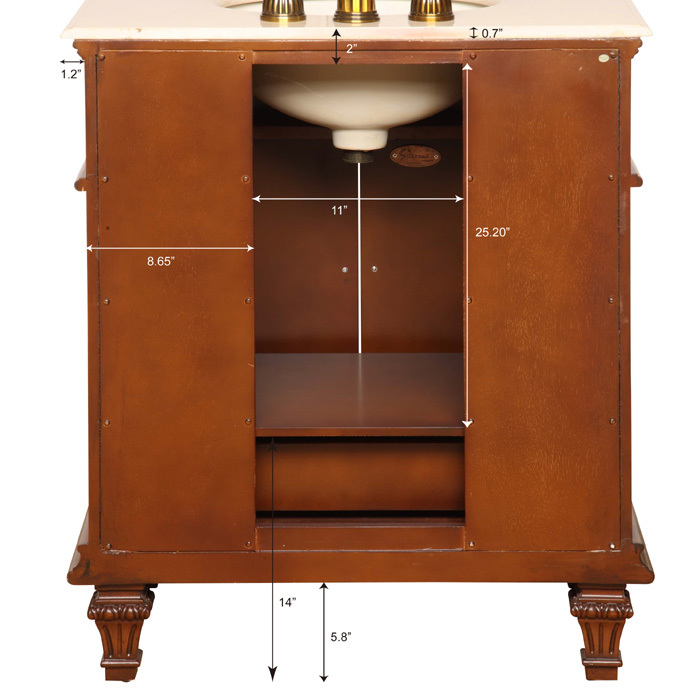 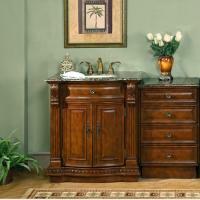 The dark brown hardwood of this cabinet is contrasted by lovely cream marble top. 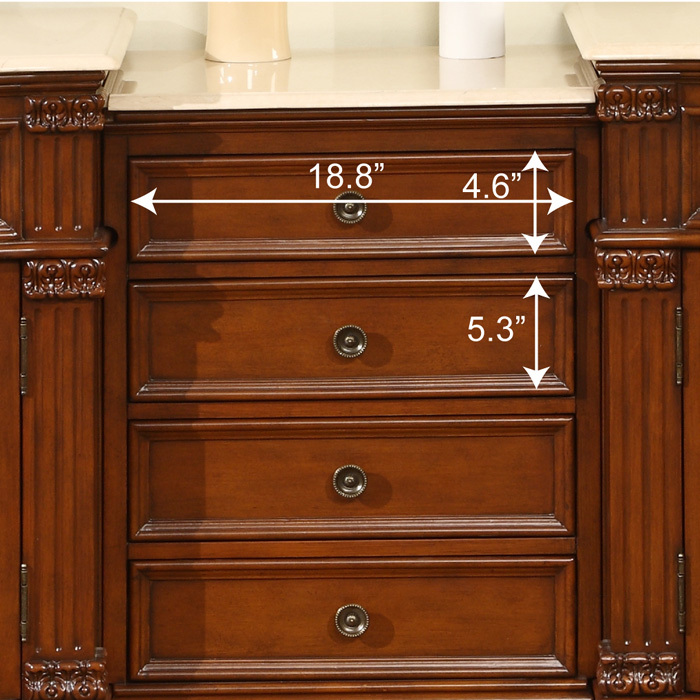 You get a matching side cabinet for added storage and flexibility, bringing you to five drawers total. 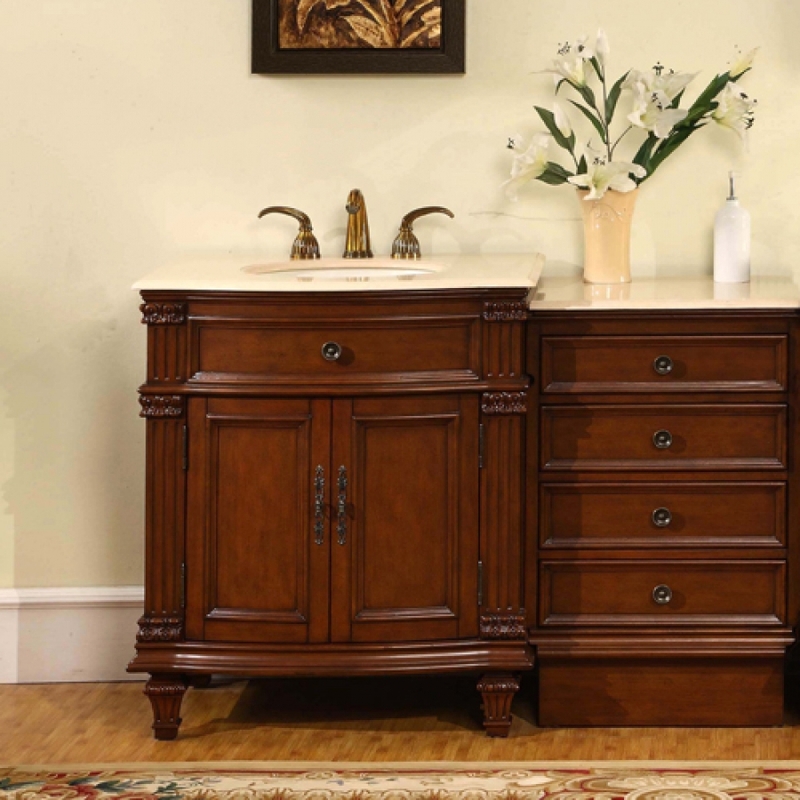 Fixtures are sold separately. Beautiful product and a life saver for hard to fit size and location of sink since the drawers fit on either side of the vanity. 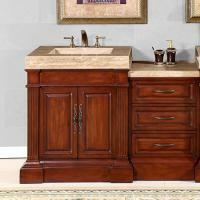 In addition, Unique Vanities is a great company to deal with.